Overlooking the Varese lake and surrounded by the mountains, Varese, of Gallic origin, was a "free city-state" until 1765 and it then became the seigniory of Francesco III d'Este, Duke of Modena, until his death in 1780, when the town became a city-state once again. It is usually called "the garden city", due to its numerous gardens and parks enriching noble palaces: Among these it is sufficient to note Villa Mirabello, seat of the Civic Museums, or Villa Toeplitz. 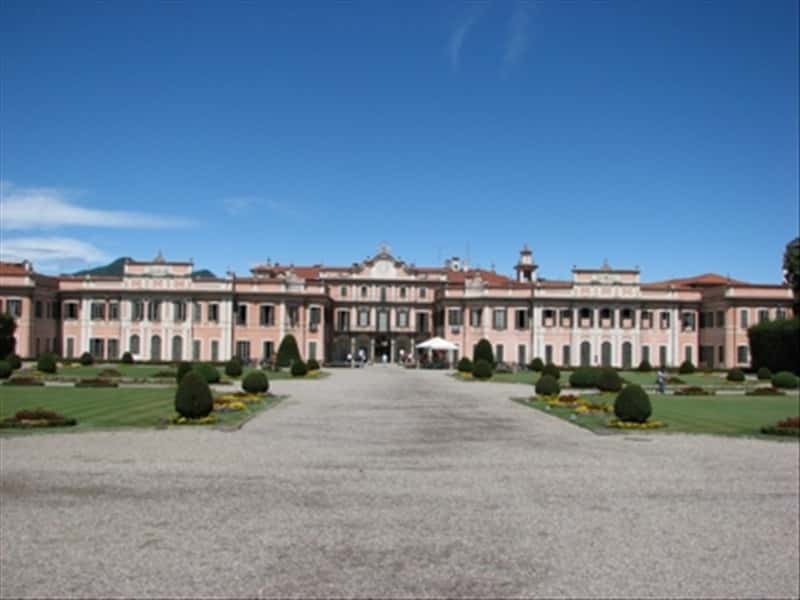 There is also Palazzo Estense, an ancient ducal residence with a delightful garden. Villa Recalcati (XVIII century), the seat of the Province of Varese and the Prefettura, has an interesting public park. Villa Menafoglio Litta Panza property of FAI, with the richest private American contemporary art collection in Italy, the Castle of Masnago, the ruins of the historical Castle of Belforte and the Tower of Velate, property of FAI, are interesting too. The Basilica of San Vittore (XVI-XVII century) was built by Giuseppe Bernascone from Varese, on the project drawn by Pellegrini, also called "il Tibaldi"; the bell tower, one of the most beautiful Lombard buildings from the first half of XVII century, and the Baptistry of St. Giovanni, National Monument in Romanesque style, are located near the Basilica. In the surroundings of Varese, along a fascinating trail on Sacro Monte, one arrives at the Santuario di Santa Maria del Monte, property of UNESCO, a place of Marian faith and worship. Its origins are evident in the Romanesque crypt under the high altar of the Sanctuary and in a parchment dated from 922. This town web page has been visited 26,126 times.